Many may have done canoeing. 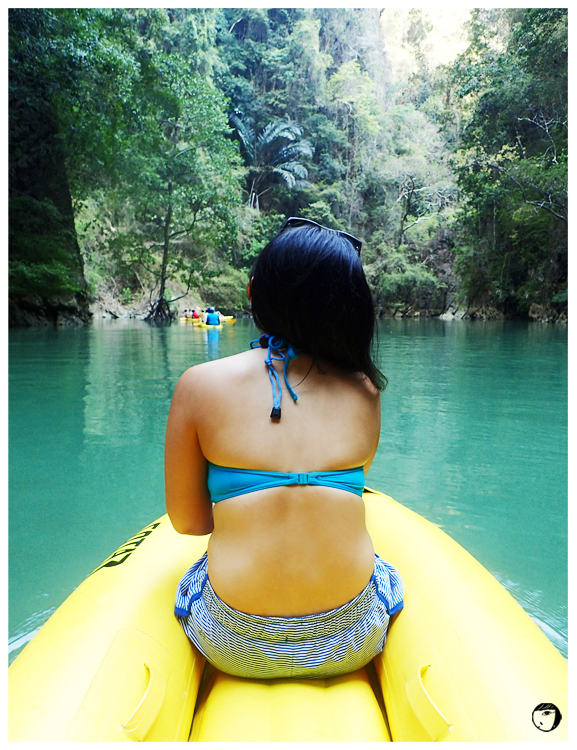 But how about sea-canoeing and exploring the sea caves? 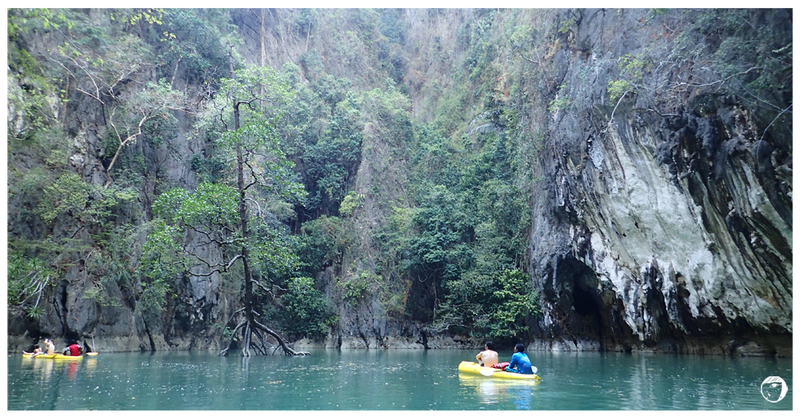 On my second day in Phuket, we booked another one-day tour for sea-canoeing. The most famous and popular tour is by John Gray’s Seacanoe. They offer varieties of tour packages that we can pick. As for us, we went for the Hong by Starlight. 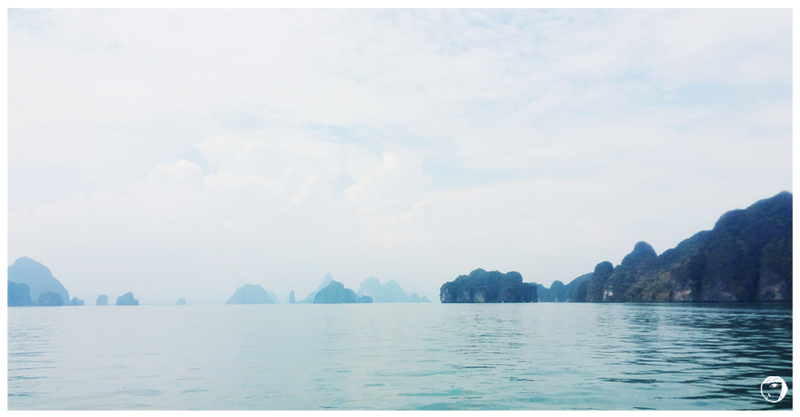 The tour brought us to explore the nature of Phang Nga Bay. We were fetched at our hotel at about 11.30AM. Yeap, the tour started not too early. We were taken to the pier where the boat had been waiting for us. 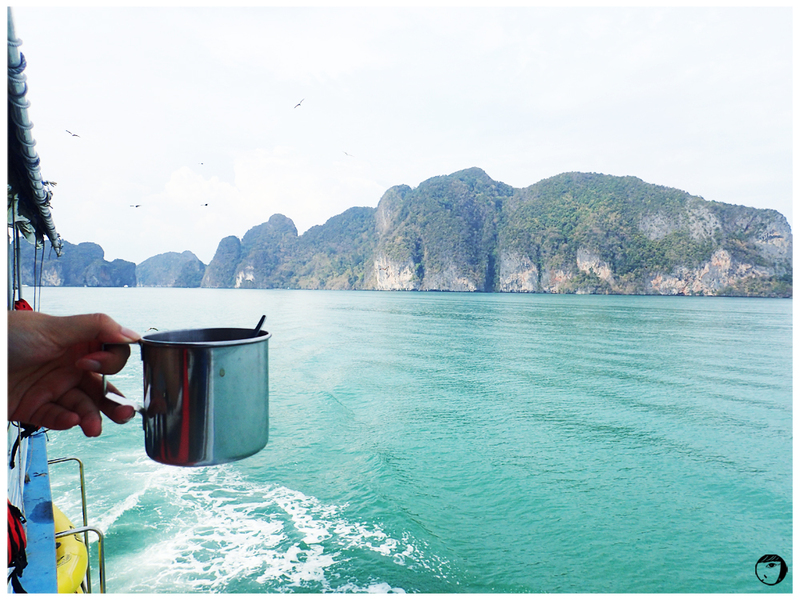 As the boat took us further away from the shore, the scenery started to be different too. A series of breathtaking stones in different shapes were to be seen. 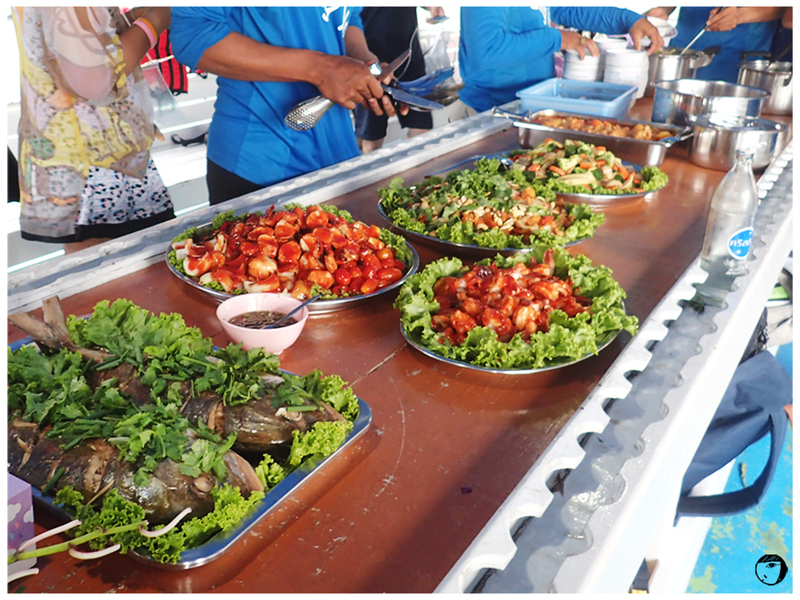 As we were enjoying the view, lunch was served. Then, one of the crews gave the whole tour participators the instructions for what to do and not. Some of the rules were not to touch the cave stones to avoid injuries (some of the stones can be sharp) and not to litter to preserve the nature. Not too long after lunch, it was the time for the adventure. Don’t forget to wear a lot of sunblock and be prepared to get some tan. One canoe could hold for 2-3 people including your professional guide. So just sit down, relax and enjoy the view. One of the unique experiences was when we had to lie down and squeezed in beneath the rocks and the caves. 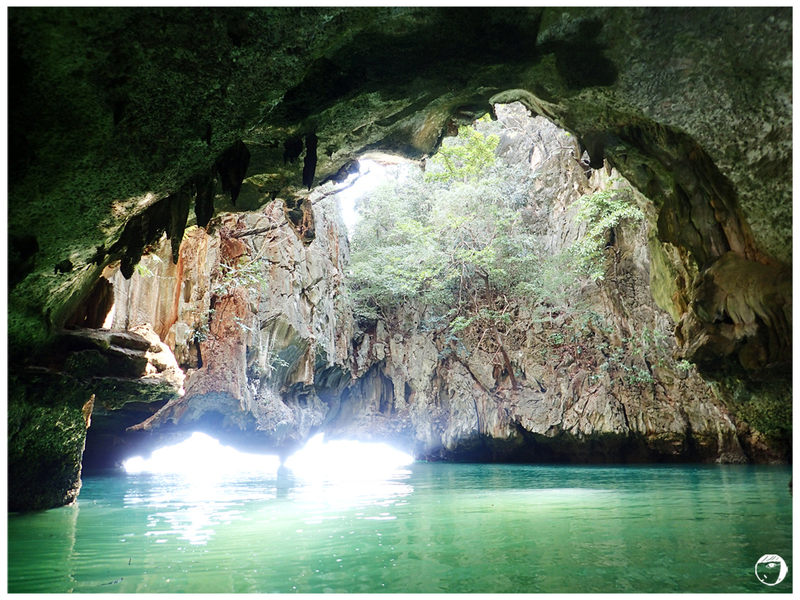 You’ll be surprised what you will get to see behind the caves and the rocks ; hidden lagoons and mangroves! The whole tour was about enjoying the great nature and wildlife, so relaxing and serene. There were a few stops and each stop offered different scenery. 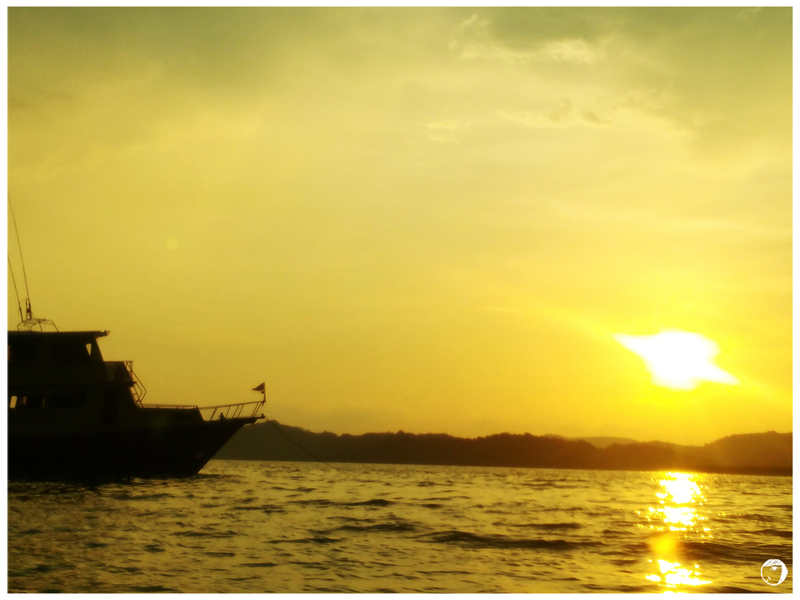 Before the sunset, the crews taught us how to make “Kratong“,a flower basket to be floated. 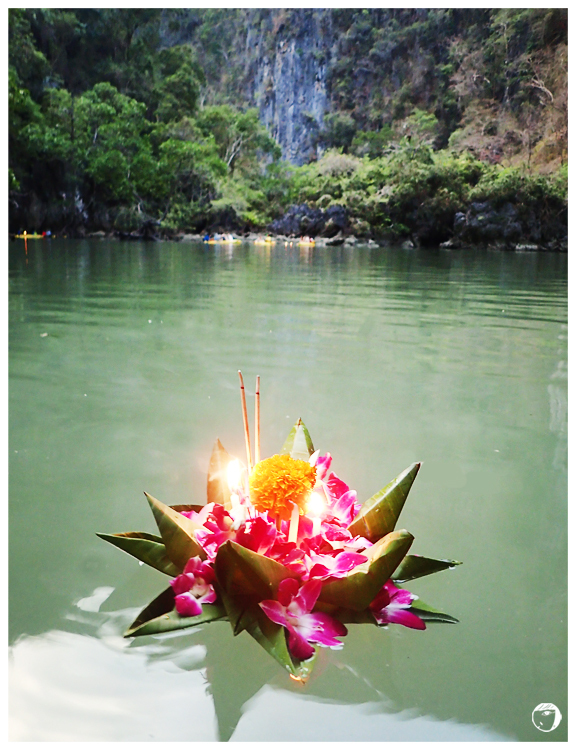 The real “Kratong” festival takes place on the evening of the full moon, sometime in November. And before the tour ended, at our last stop, we were taken to the bat cave where we got to see the little bats (they are not dangerous) and the bioluminescent plankton (dinoflagellates)! After the release of the “Kratong“, that’s the end of the tour. We were sent back to the pier before 8PM. It was a fun and exciting experience, I learned so much from the tour. The whole tour was definitely worth the price.